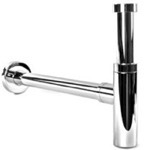 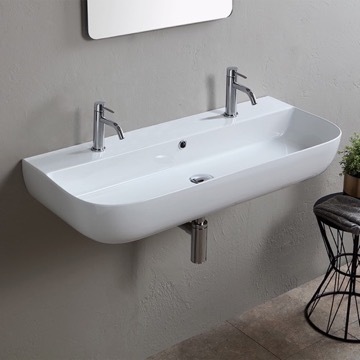 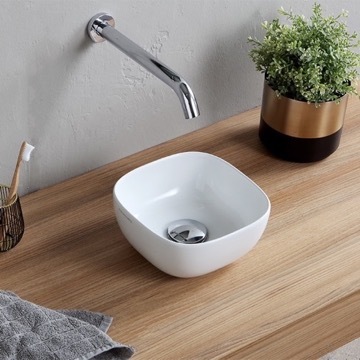 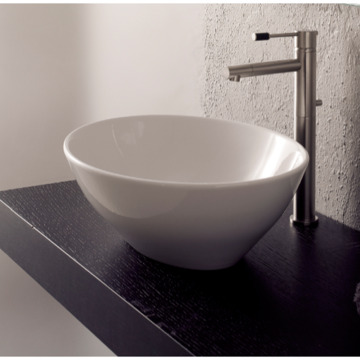 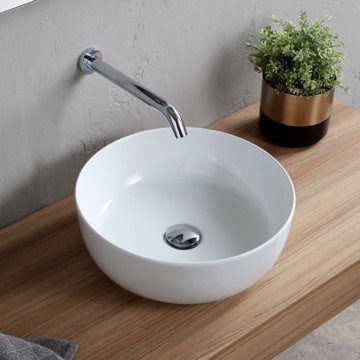 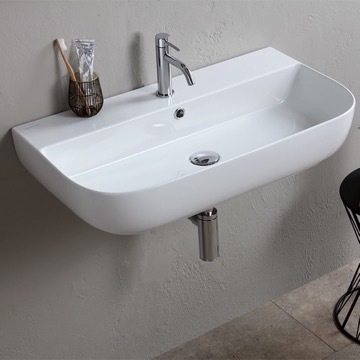 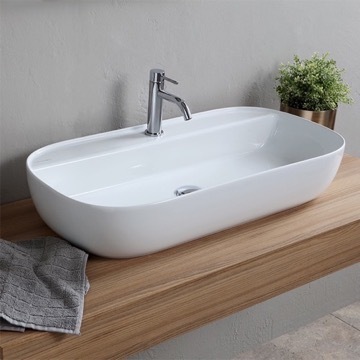 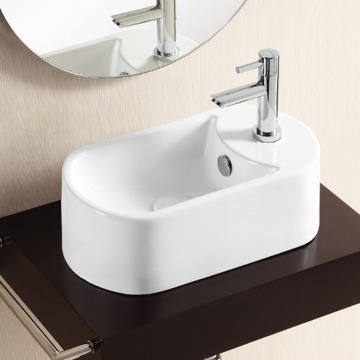 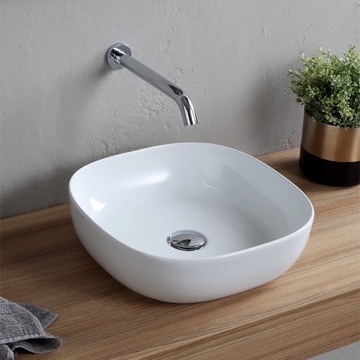 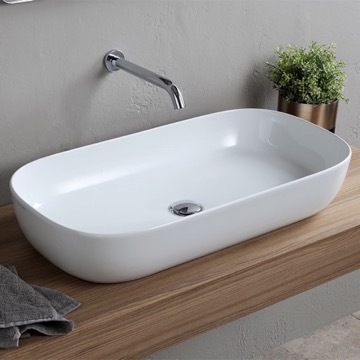 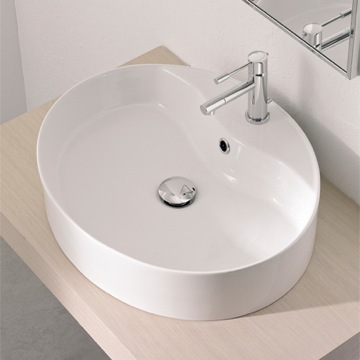 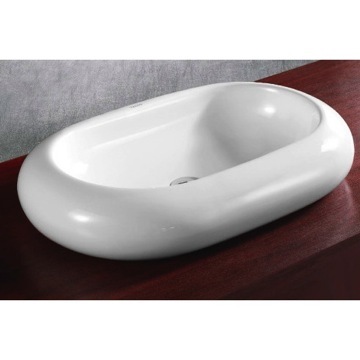 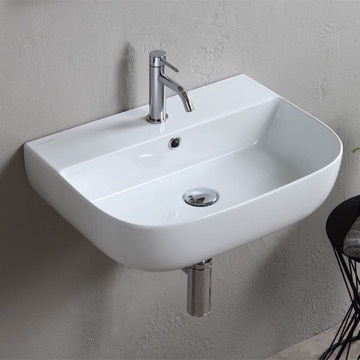 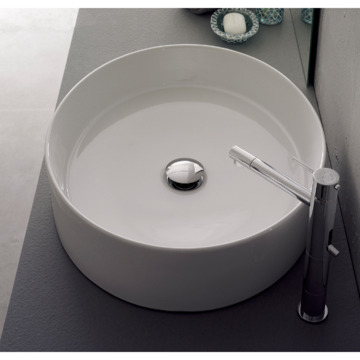 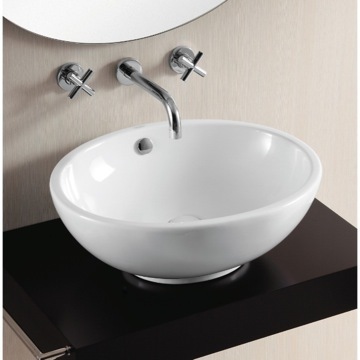 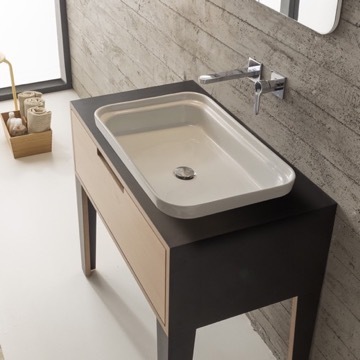 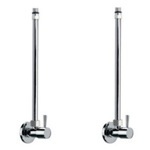 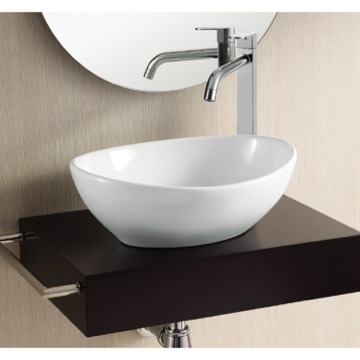 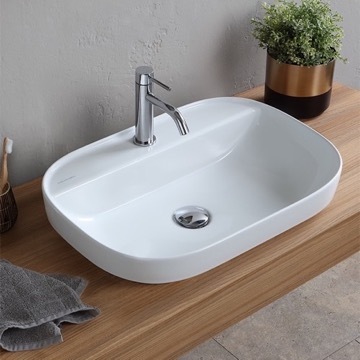 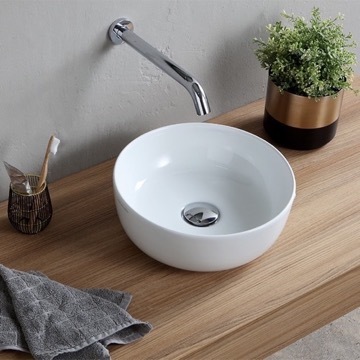 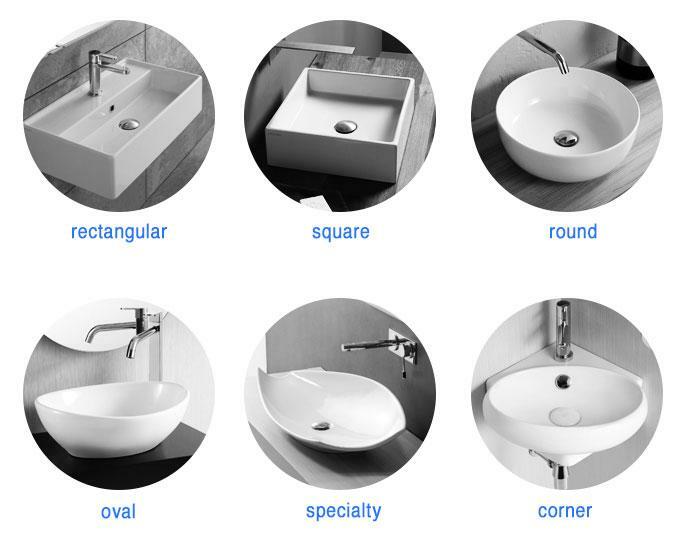 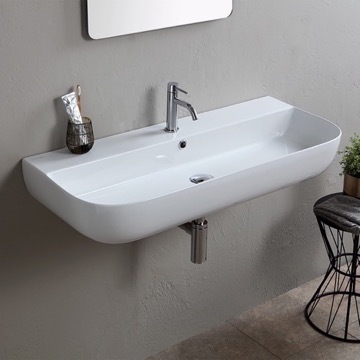 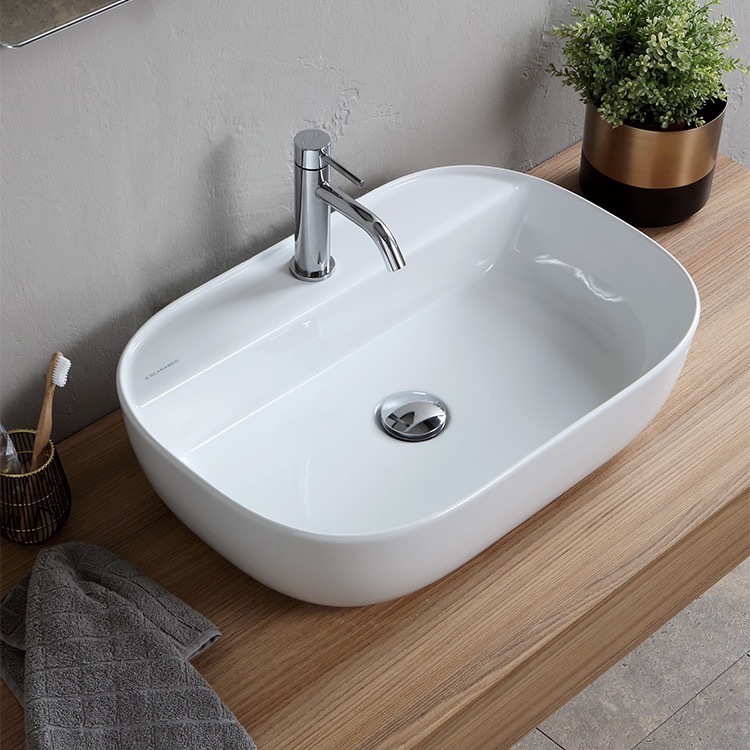 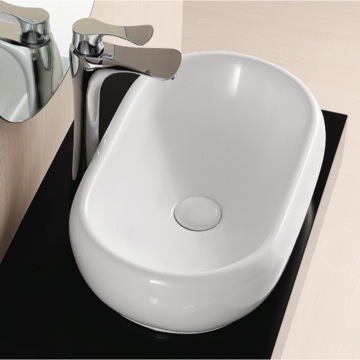 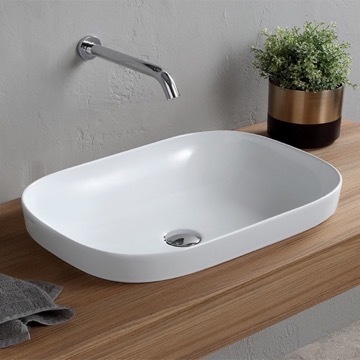 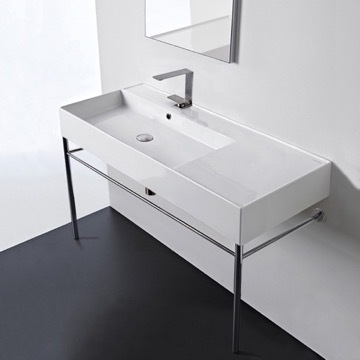 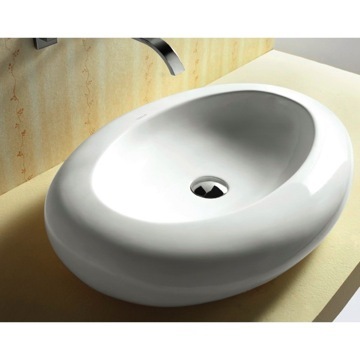 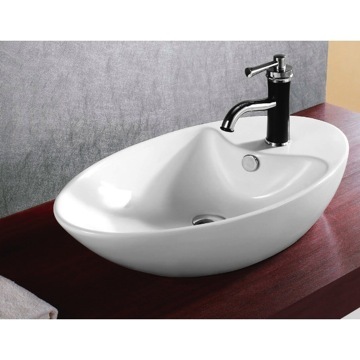 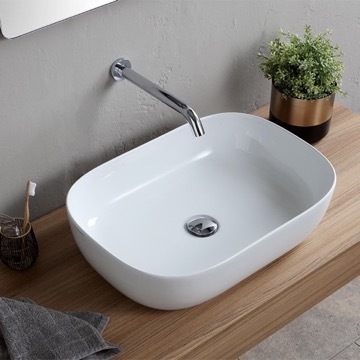 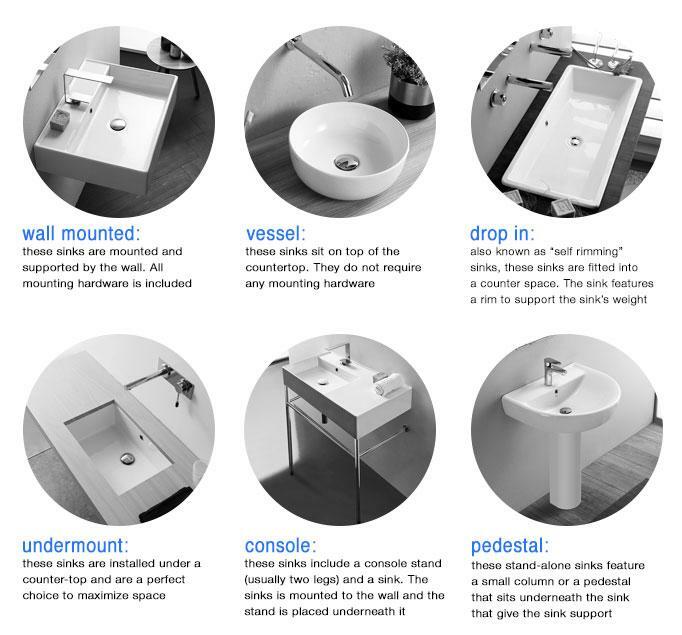 Inspired by the modern and contemporary style bathroom, this beautiful 22 inch vessel sink is made from high quality ceramic with a sleek ultra thin edge. 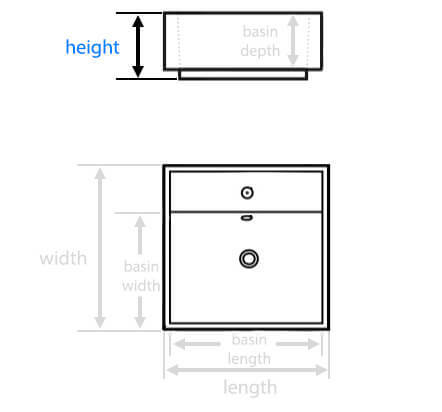 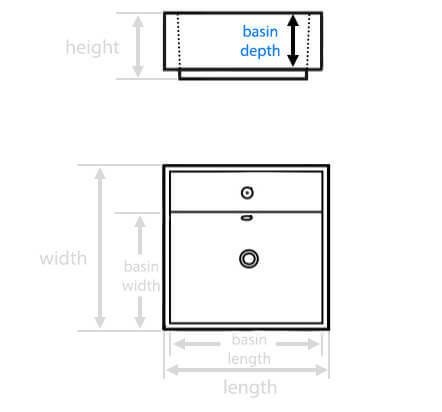 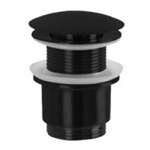 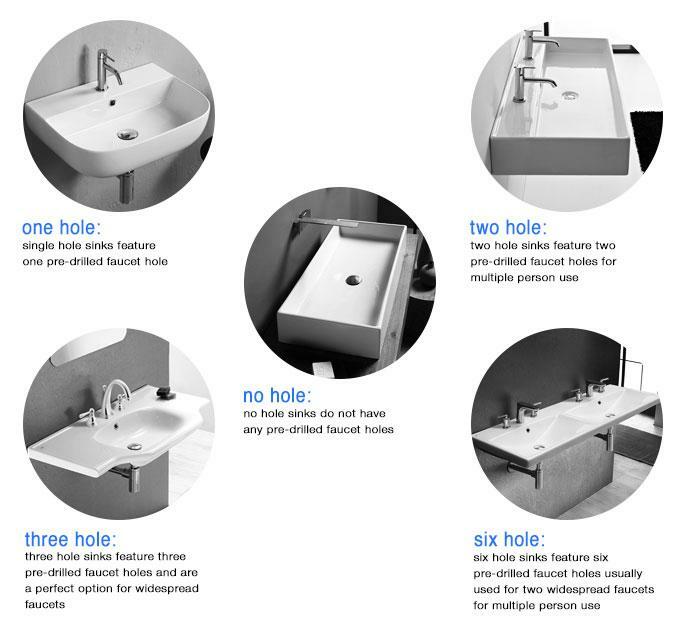 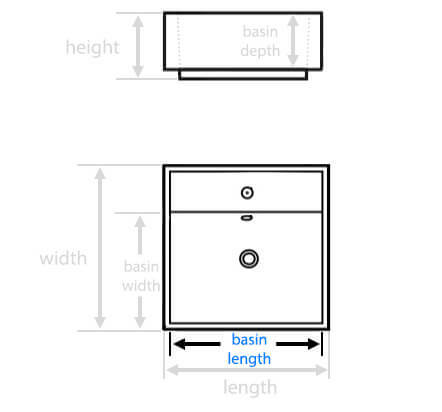 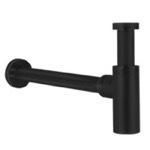 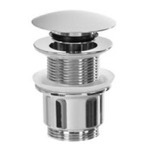 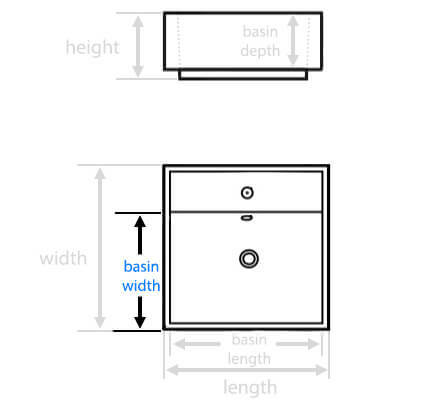 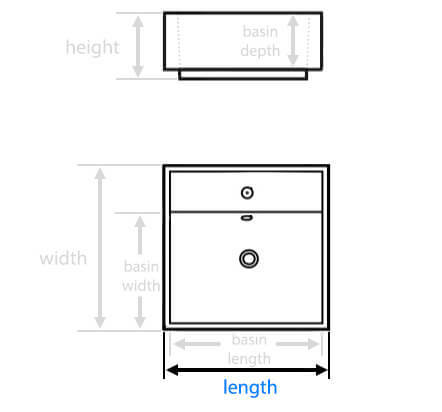 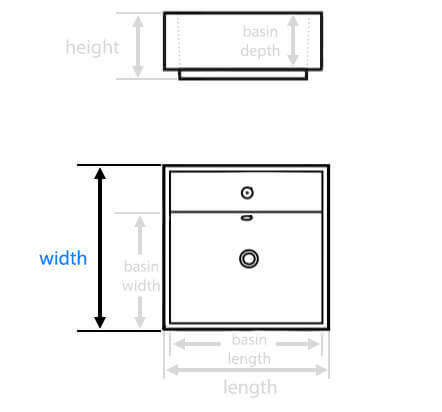 Sink features one pre-drilled faucet hole. 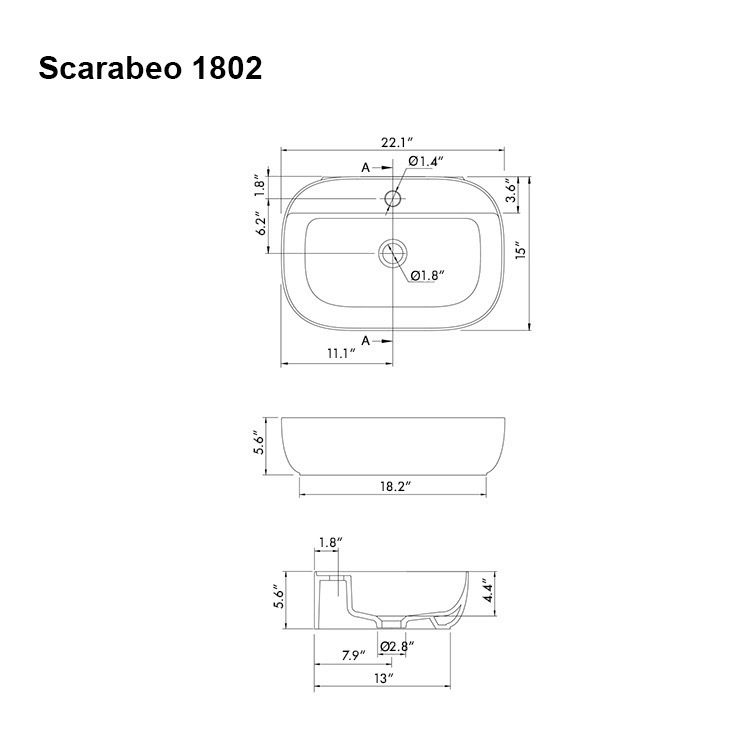 Made and design in Italy by Scarabeo and part of the Glam collection.